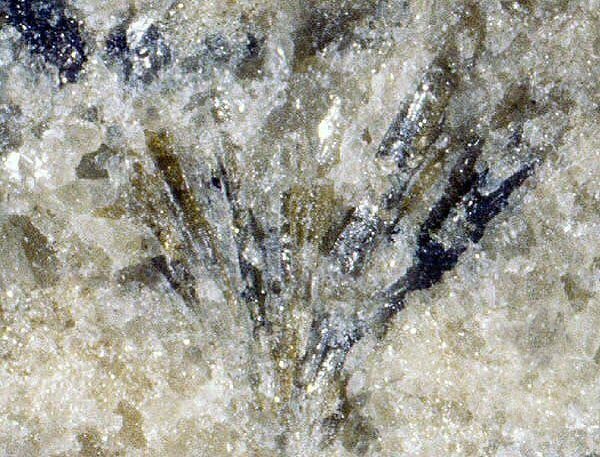 Comments: Yellowish brown crystal prisms of niocalite in a carbonatite rock matrix. Location: Oka, Oka complex, Deux-Montagnes Co., Québec, Canada. Scale: Crystal length 1 cm.